Robert Handa is a reporter for NBC Bay Area News at 5 p.m., 6 p.m. and 11 p.m. He joined NBC Bay Area in June of 2014 – returning to the station where he began his career more than three decades ago. Named as the 2015 Reporter of The Year by the Associated Press, Robert Handa is a reporter for NBC Bay Area News at 5 p.m., 6 p.m. and 11 p.m. He joined NBC Bay Area in June of 2014 – returning to the station where he began his career more than three decades ago. 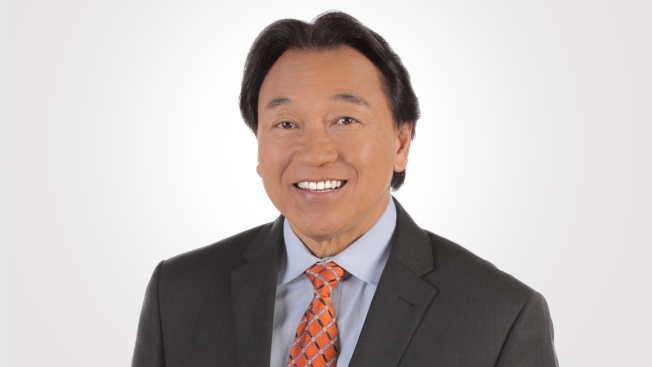 In addition to reporting for NBC Bay Area News, Robert Handa is also the host of Asian Pacific America with Robert Handa, a weekly talk show covering Asian newsmakers, events, community accolades and youth perspectives. The program airs Sunday mornings at 5:30 a.m. on NBC Bay Area and encores at 6 p.m. on COZI TV. A South Bay native, Handa attended DeAnza College and won a journalism contest for an internship at KNTV Channel 11 – a moment that he describes as the first real step to a broadcast journalism career. That internship eventually turned into a part-time job while he attended San Jose State University. Later, he became the station’s first Asian-American reporter– joining a small group of other Bay Area television reporters who had earned the same distinction. At just 22, Handa videotaped, produced, and edited a five-part documentary series on gangs that won a Peninsula Press Club award for Best Documentary News Series. He also helped launch KNTV’s very first weekend newscast. Some of his most memorable assignments have been flying with the Blue Angels, the 49ers' Super Bowl victory, going on an ocean rescue with the Air National Guard, 5-part series on Alaska, reporting on the Maverick’s surf competitions from a boat, and the Queen of England and Prince Philip’s visit to Hewlett Packard. He’s also interviewed some notable newsmakers throughout the years, some favorites include; President Jimmy Carter, the Dalai Lama, Henry Kissinger, Hillary Rodham Clinton, UFW Founder Cesar Chavez, Russian President Mikhail Gorbachev, astronaut Buzz Aldrin, 49ers quarterback Joe Montana, Giants baseball great Willie Mays, former 49ers head coach Bill Walsh, both Star Trek's 'Mr. Sulu's: George Takei and John Cho, and TV star, writer and producer Mindy Kaling. Handa has won several national journalism awards, including two top awards from the Asian American Journalists Association (AAJA) as well as a first place award from the National Association of Black Journalists. He’s also received several Emmys including the award for outstanding achievement in investigative reporting, an Associated Press Award for best documentary. In 2010 he was named to the AAJA’s Honor Roll of Pioneers in Journalism. In 2016 Handa was honored with the "Reporter of the Year" award by the Associated Press Television and Radio Association, and was also recognized with the "Best Coverage of an Ongoing Story" award for a series on the delayed construction of the $300 million expansion to Santa Clara Valley Medical Center. He has also been honored with distinguished alumnus awards from Sunnyvale High School, De Anza College and SJSU. Handa is an active member of many Bay Area organizations, including AAJA, KIMOCHI, Self-help for the elderly, Yu Ai Kai Japanese American Community Senior Service and Asian American’s for Community involvement (AACI). Before returning to NBC Bay Area, Robert worked at KTVU as the stations South Bay Reporter for 16 years. He’s also worked as a reporter and fill-in anchor at KPIX in San Francisco and reporter/documentary producer for KQED-TV. He currently lives in Morgan Hill with his wife and two children.